He has no grave or memorial in any British military cemetery abroad. 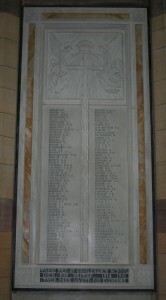 He is commemorated on the Roll of Honour in Giggleswick School Chapel, Yorkshire, the Great Chesterford War Memorial, and the Rathmell War Memorial as well as in this family grave. 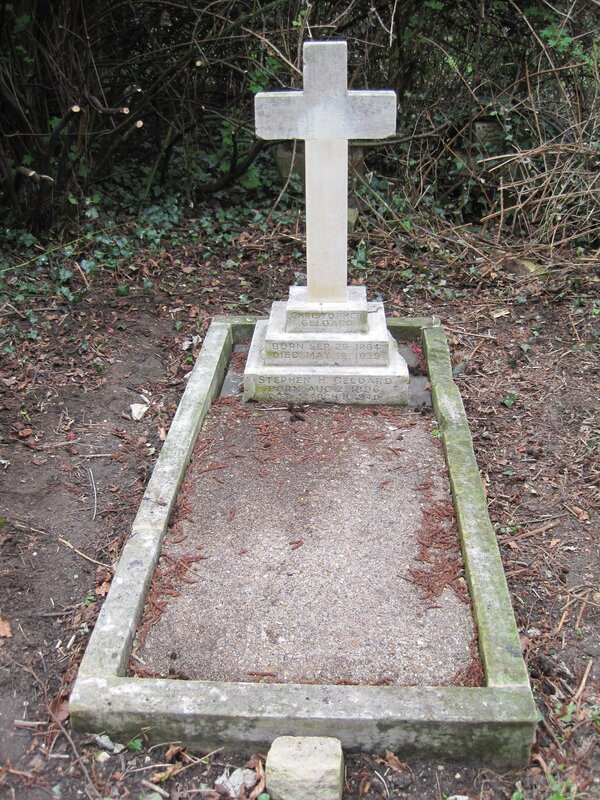 John was born on 4 December 1885 at Brooklands Villa, Brooklands Avenue, Cambridge. He was baptised on 24 January 1886. John was the second of the six children of Christopher Geldard and Janet Stuart Geldard (née Humphry). Like his father and his older brother, Christopher, he attended Giggleswick School, Yorkshire. He entered there in September 1900 and left in December 1902. After leaving school he took the competitive examination held by the Civil Service in 1904 in order to enter the Royal Military College, Sandhurst. Sixty-eight cadetships were awarded for cavalry, foot guards and infantry that year. John obtained 9,164 marks and came 17th. 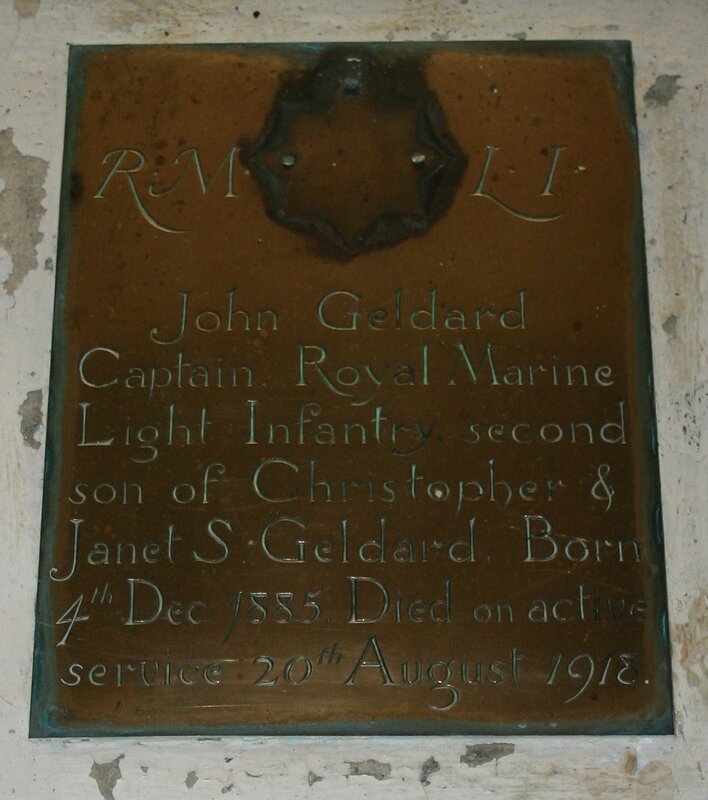 However, on 1 September 1904 John was commissioned as a 2nd Lieutenant in the Royal Marine Light Infantry. He spent the next two years at the Royal Naval College, Greenwich where he became a Lieutenant on 1 July 1905. John passed out of the Royal Naval College on 30 June 1906. The next day he moved to the Divisional Headquarters at the Plymouth Division where he stayed for eighteen months. John passed courses in Electricity for Torpedoes and passed the Gunnery School course as ‛Excellent’. He was also classed as having special skills in French and Freehand Drawing. On 7 January 1908 John joined HMS Majestic. He spent most of his time with this ship in port at Devonport, the naval base at Plymouth. His commanding officer reported, ‛Does his best and will make a good officer but is somewhat slow at present’. Then on 18 August 1908 John was transferred to HMS Bulwark, Plymouth Headquarters. His report there stated, ‛Very Good, trustworthy officer quietly acquiring knowledge of sea life’. He continued studying Wireless Telegraphy, French and Freehand Drawing. On 2 January 1909 John joined HMS Goliath for a period of duty in the Mediterranean. His commanding officer reported, ‛Rather slow but does his best, likely with experience to make a good officer. Good judgement, Very reliable, Good physique.’ After four months he returned to Plymouth for further training at Headquarters. In 1909 John was assigned to HMS Hogue for a few months. He again returned to Plymouth again where he qualified as Squadron Wireless Officer before taking part in manoeuvres on HMS Devonshire. His commanding officer stated, ‛Has not a good appearance. Holds himself badly. Zealous and capable’. On 12 August 1911 John set sail again for the Mediterranean from Plymouth on board HMS Baccante as Assistant for Wireless Telegraphy Duties. He was responsible for communications between the Royal Marines, the Royal Navy ships, and the Admiralty in London. John spent time on board several other battleships including HMS Good Hope and HMS Dreadnought. 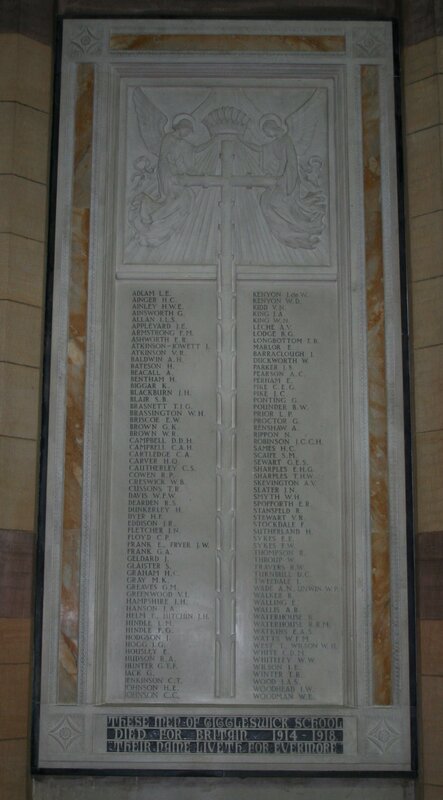 On 4 June 1912 he was assigned to HMS Exmouth for duty as assistant for wireless telegraphy duties, in lieu of an instructor in 4th Battle Squadron. However, on 25 March 1913 John was transferred to another battleship, HMS Swiftsure (East Indies Squadron), for Wireless Telegraphy Duties, which was bound for the East Indies. During his time there he obtained the Naval General Service Medal Bar Persian Gulf 1909‒14. After the end of the Gallipoli campaign John initially stayed on the cruiser, HMS Doris, in the eastern Mediterranean, guarding British shipping and interests including off the Turkish coast. At one point the ship fired on and destroyed the coastal batteries and guns in the fort at the large and important Turkish port of Smryna (Izmir). John then transferred to various other ships including HMS Talbot, a Light Cruiser, based at Plymouth. Information kindly provided by the following institutions: Trinity College, Cambridge; Giggleswick School; Craven Community Projects Group; and Lawrences Auctioneers.